CAN YOU BELIEVE THIS!?! 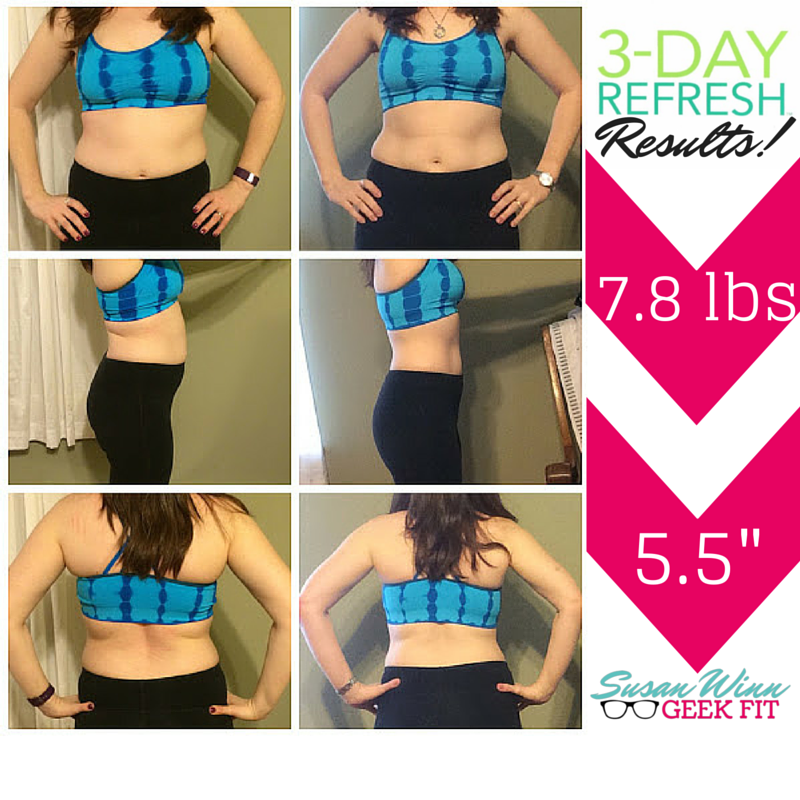 My fellow coach and good friend Susan ROCKED her results with the 3 Day Refresh. In just 3 days she lost 7.8 pounds, and 5.5 inches! OH MY GOSH! She is a ROCKSTAR! Way to go Susan! Next up, she is going right into and rocking 21 Day Fix and getting even more leaned and toned! She kickstarted her progress in an amazing way! Want to try 3 Day Refresh? Click here to learn more!